Upwork is the largest freelancing workplace in the world. It has four million registered clients and nine million registered freelancers. There are three million jobs posted annually. Upwork�s annual worth total more than 1 billion USD. Before 2015 upwork was known as Elance-oDesk. 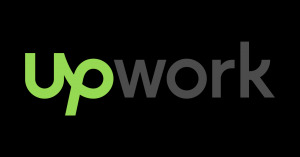 In 2015 Elance-oDesk rebranded as Upwork. Upwork is a great platform for freelancer all over the world. Upwork allows clients to interview, hire and work with freelancers or agencies through the company's platform. Upwork now includes a real-time chat platform aimed at reducing the time to find and hire freelancers from all over the world. Here a lot of Bangladeshi freelancer works through upwork. It is 100% secured workplace too. Upwork pay via PayPal, Skrill, Master Card etc. From Bangladesh it was difficult to receive freelancer�s money. But now it is very easy!!!! Just sign up at PaymentBD.com and receive your earned money. You can received Paypal, Skrill or Master card Dollar through PaymentBD.com .